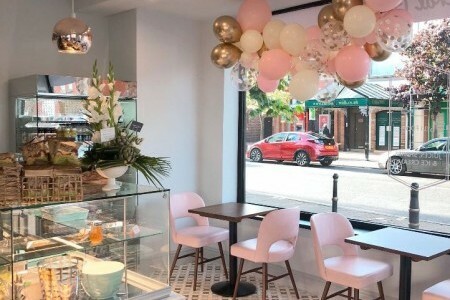 Lytham and its surrounds has a huge choice of eateries including stylish restaurants, bistros, tea shops and cafes and you’re really spoilt for choice! 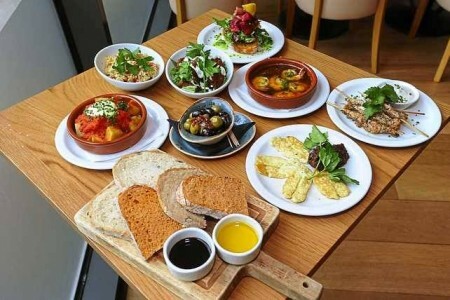 For more information, you can contact the Tourist Information Desk on 01253 658 443 (during office hours) to find out more about the wide choice of places to eat, many of which source their ingredients locally. Nestled within the grade II listed Market Hall, Barrique is a Wine Shop, Bar & Deli, located in the heart of lovely Lytham on the Fylde coast. 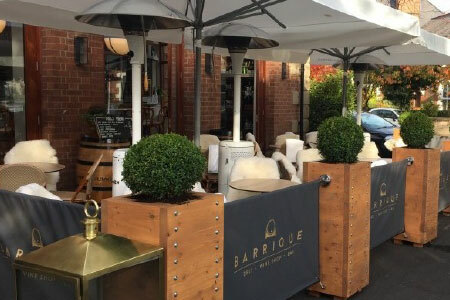 With a vast array of wines from around the world, Barrique is a place you can come for a morning coffee with pastries, a glass of wine and a bite to eat or to stock up your wine collection. 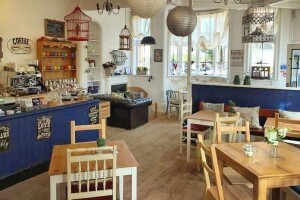 Located beyond the Library Building, Bijou of Lytham is a welcoming café in what has become known as the ‘Windmill Quarter’. 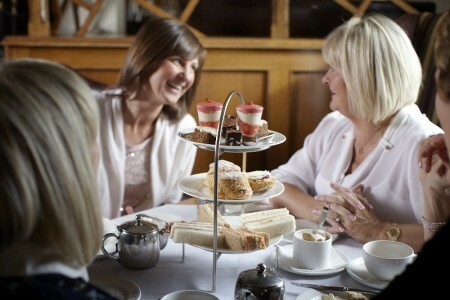 It’s open for breakfasts, brunch, lunches and afternoon tea. Being dog friendly it is very popular with dog walkers and there’s even doggie biscuits for your four legged friend. 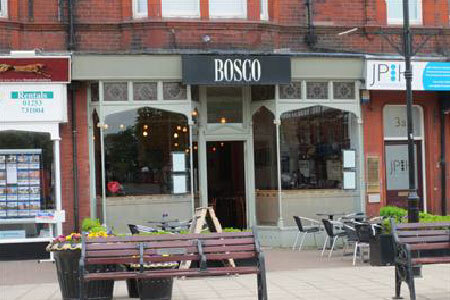 Bosco means ‘small forest’ in Italian and this should provide an indication of the type of cuisine this Lytham restaurant serves. It has a fantastic location in the heart of Clifton Square with huge bay windows that overlook both the square and the high street. 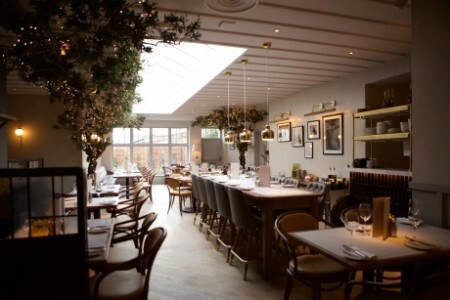 The venue is bright and airy and has a modern ambience and at the back of the restaurant is an open kitchen with a stone-bake wood-burning oven. Set in the heart of Lytham, Caffé Nero is worldwide well known for its Barista made coffee to order and has a range of pastries and snacks and is a great meeting point. 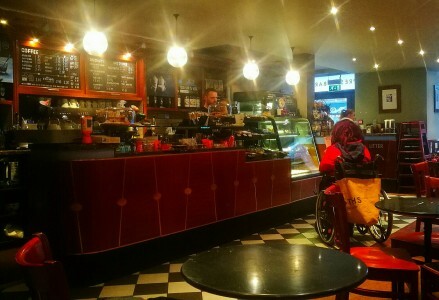 Café Nero is dog friendly too and the company has a great ethical and environmental culture with recycling and plastic reduction as key priorities. Open seven days per week. 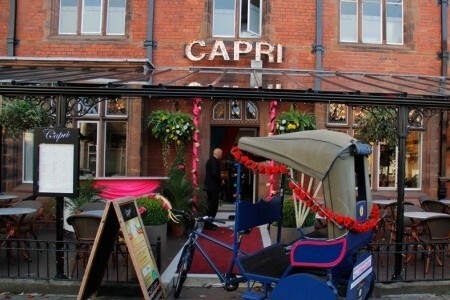 Housed in a Grade-II listed building that was formerly an art gallery, Capri enjoys a prime spot between Lytham’s bustling town centre and the famous Green. It makes the most of the location with a large sheltered terrace where you can sit and watch the world go by as you enjoy a coffee, a drink or a bite to eat. Open all day, every day from breakfast to evening dinner. The interior has been totally transformed in fine Italianate style with mirrors, chandeliers and lots of cream marble and in the evenings it has the feel of a sophisticated city centre lounge bar. The dog friendly Central Beach is located in the heart of Lytham and newly opened in September 2018. 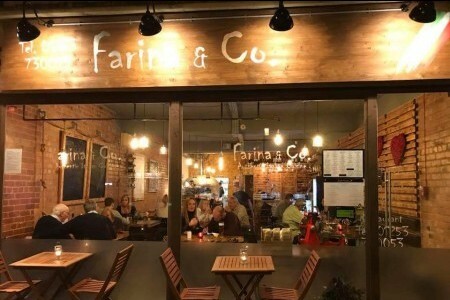 Open seven days a week and offering coffees, teas, shakes and a range of cakes, sandwiches and paninis using locally sourced ingredients as much as possible, it is sure to be a popular addition to the town centre. Parking is available nearby. Overlooking the Lytham Green with wonderful views of the coastline, The Restaurant has two AA Rosettes and a well earned reputation for inspired menus, complemented by a comprehensive list of fine wines.The Restaurant offers the perfect combination of stylish dining and friendly, attentive service that ensures a truly enjoyable experience. Parking available within the hotel grounds or on street. Located in the heart off Lytham, just off Clifton Street, Ego offers the best cuisine from across the Mediterranean including French, Spanish, Italian, Greek and Moroccan classics with plenty of fish and seafood options, delicious steaks, pizza, pasta and paella as well as a large choice of vegetarian dishes to choose from. Outdoor terrace. 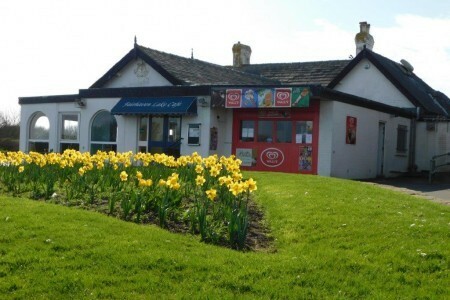 Located right by Fairhaven Lake overlooking the water, boats and birdlife there’s fresh homemade meal,snacks and cakes. Dogs are welcome in some parts of the café and it’s an ideal stop off point if you’re exploring the coastline. 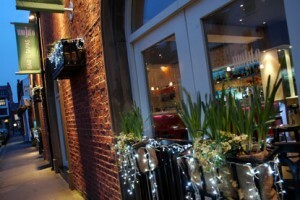 ​Arialdo and Stefano welcome you to their friendly, modern and relaxed Italian restaurant in the heart of Lytham. There’s authentic Italian cuisine with a focus on traditional dishes from the southern regions of Apulia and Campania. All dishes, including pasta, are homemade with fresh and locally sourced ingredients. 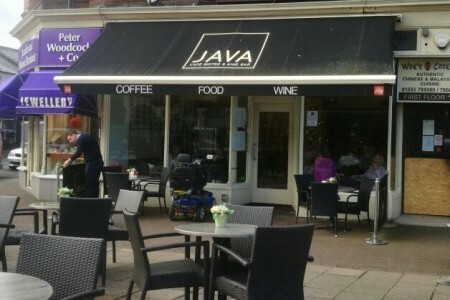 Situated on Clifton Square in the heart of Lytham, stop off for a quality coffee either inside, or on warner days, al freso and watch the world go by – a great place for people watching. 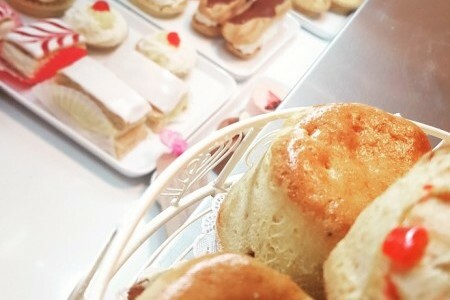 Good varied menu with a wide variety of quality cakes. 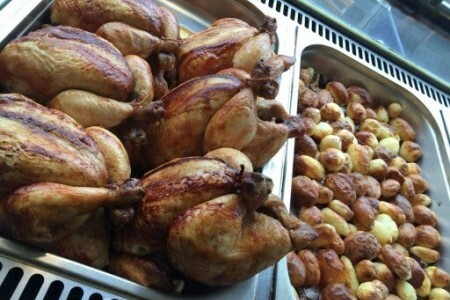 Chicken and other meats served rotisserie style which ensures the juices are kept inside and the meat is very moist and succulent, either on their own, as part of a meal or on freshly baked breads. This style of cooking went back to the French aristocracy and you can now experience it on the Fylde coast. 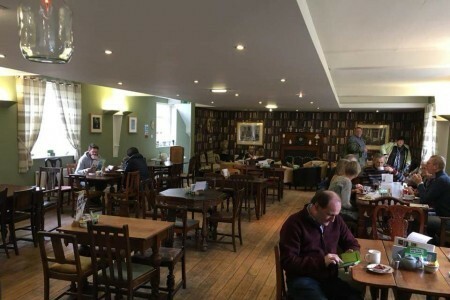 Situated inside the Lowther Pavilion, the Lowther café is dog friendly and always busy, being so popular and has built up a reputation for a quality hearty bite to eat with views over the Lowther Gardens. Access via the gardens or the theatre foyer. The Tea Room at Lytham Hall is set in the West Wing with access to a charming lawn area with attractive borders and picnic tables which is set in the heart of the Estate. 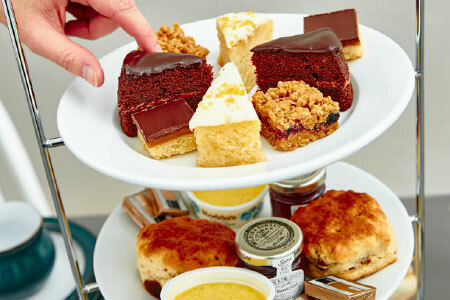 There’s homemade and locally sourced food where possible and what better way to end a visit to Lytham Hall than with a homemade afternoon tea! Well behaved dogs are welcome to use the Tea Room when it’s not too busy. Mojito is the ideal place to enjoy a drink or some tasty tapas. The beautifully designed modern bar serves a variety of cocktails, beers, wines & soft drinks with the refreshing ‘Mojito’ – havana Club Anejo Especial, mint lime & sugar – a popular house speciality. The characterful, former NatWest Bank building has been designed with industrial lighting, exposed copper piping and geometric patterned tiles throughout. 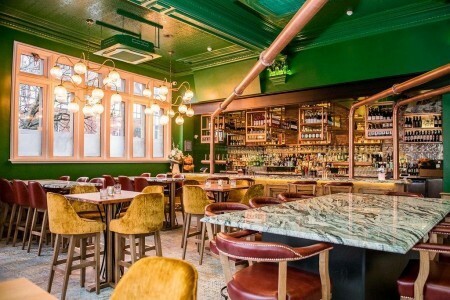 A centralised copper bar creates both a lively place to drink with friends, granting guests the luxury of celebrating in style and allowing diners to soak up the atmosphere. Seniors at Lytham is perfectly placed for local people and visitors not far from Clifton Square which is a perfect spot for alfresco fish and chips. 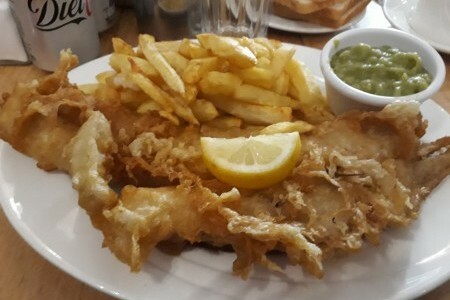 You can enjoy the seaside tradition of fish and chips and walk to the seafront with your takeaway to enjoy it overlooking the marvellous views of the Irish Sea from Lytham Green, or maybe you’d prefer to enjoy your food in the 50 seater restaurant. 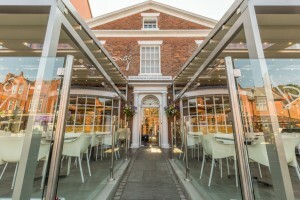 Set in the heart of leafy Lytham, overlooking the main square and what is now known as the restaurant quarter, you will find Spago. Enjoy a delicious dish from our menu which includes a wide selection of freshly prepared seafood, salads, wood fired pizzas, pastas and steaks. 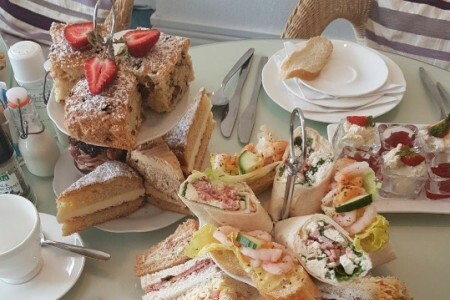 Located in Ansdell, a short drive from Lytham town centre,The Blackbird Tea and Coffee House is a quirky tea and coffee house for delicious homemade sandwiches, cakes, loose leaf teas, coffee, hot chocolate and so much more. Street parking available and if you are walking along the coast it’s a short diversion off your route for a well earned pit stop. 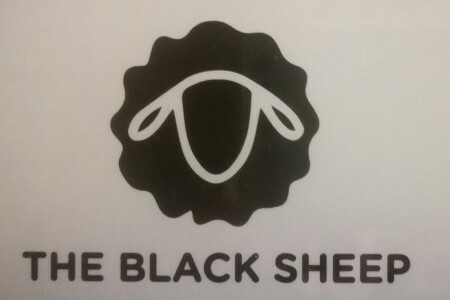 The Black Sheep Tea Room is located in the heart of Lytham and is a family run tearoom. Spread over two floors and with a secret roof top garden they serve high quality home cooked food ranging from a small snack and a coffee up to a deluxe afternoon tea. 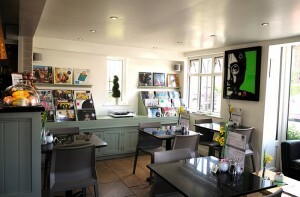 They are child & dog friendly venue and also cater for vegetarians and gluten free requests. 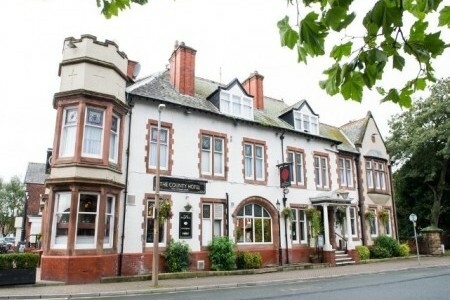 The County Hotel is located on the outskirts of Lytham and has an inviting atmosphere which you can feel as soon as you walk through the door. Friendly staff and great service. 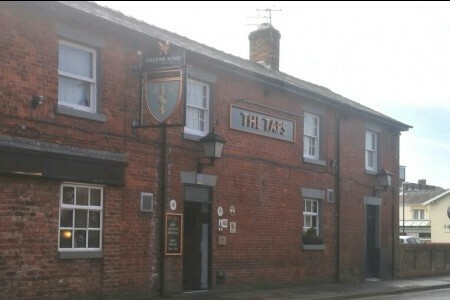 The building is listed and has been a pub for many, many years, now offering a very popular delicious daily carvery and a bar food menu, served in the pub throughout the day. 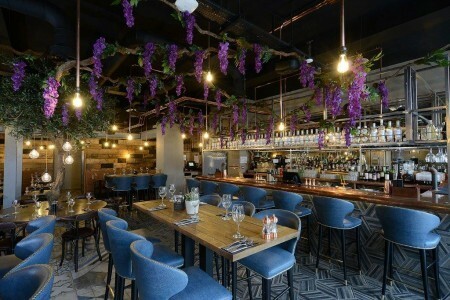 The Deacon offers a relaxed dining experience, where restored traditional features sit seamless alongside a contemporary glazed dining room overlooking Clifton Square. There’s over fifty gins from around the world and their very own Deacon Ale and Deacon Lager. 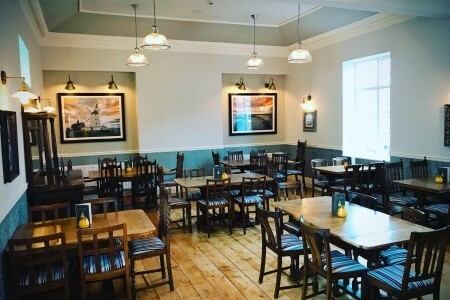 Licenced café open throughout the week, the Lytham Kitchen offers the highest quality, freshest, locally farmed produce and to provide an excellent service in a relaxed and friendly surrounding, washed down with a beer or fine wine.Truly local. A Victorian Grade ll listed building situated right on the heart of Lytham Green with fantastic views over the Ribble estuary and windmill. The kitchen team is committed to providing the highest quality dishes, whilst maintaining a reputation for Great British pub food. 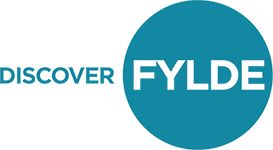 The diverse menu ranges from classics such as fish & chips, steaks & burgers to more delicate dishes such as superfood salads, sunshine hake and smoked haddock in a cheese & chive sauce. Daily specials board. 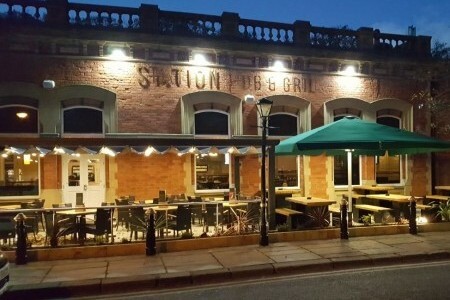 The original railway station serving the town of “Leafy” Lytham, it is one of the town’s most popular venues, welcoming customers from across the Fylde coast and beyond. 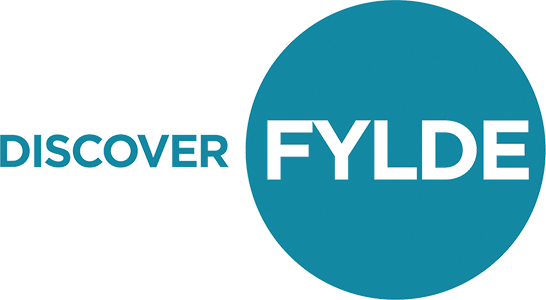 Welcoming drinkers, diners and dog walkers, both young and old, with great food, fantastic beers and amazing entertainment in the form of the finest local and national touring bands. Contemporary casual dining at it’s very best. 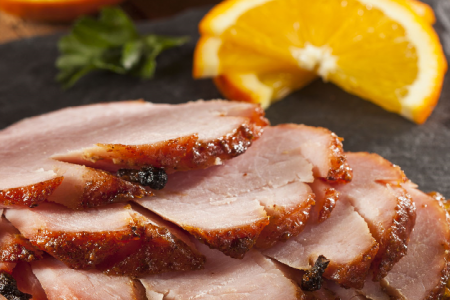 A children’s menu and a “proper Sunday roast” are also available. Set in the heart of Lytham close to the Square and to the Green and Promenade, it is like a jewel in the crown, standing resplendently as a place of great renown. With quality ales and a real cider on the bar and numerous CAMRA awards, The Taps is a meeting place for people from all walks of life searching for a pint of quality cask beer. Something a little different where you can also purchase vinyl records. 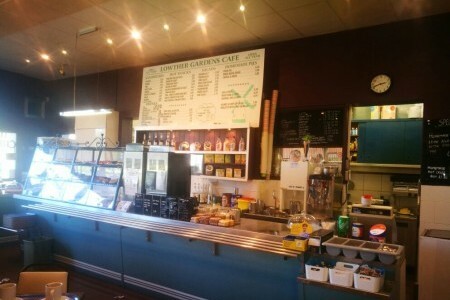 Great coffee, lovely cakes and a “lighter” food menu. Located close to the heart of Lytham, but a short stroll to the Green. Open daily, except Mondays (open Bank Holiday Mondays) . Small but inviting. Dog friendly. 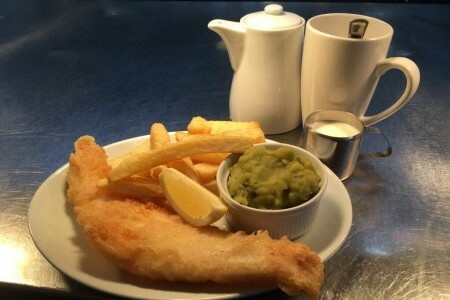 Located in the heart of Lytham, fish and chips have been served here since 1937, by this family run business who are passionate about great British fish and chips. All fish is sourced from sustainable stocks and wherever possible use local produce. Daily specials including homemade gourmet fishcakes and a extensive choice of fish. 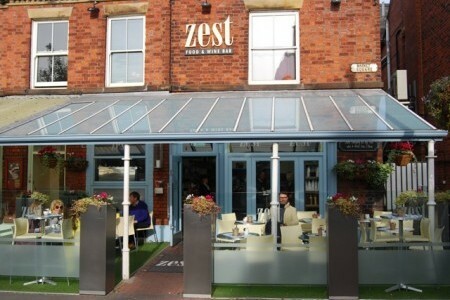 Located adjacent to Stringers, Zest offers a wide range of freshly made open ciabattas, marinated tasty chicken dishes, great salads and deli special selection. Enjoy a little “afternoon delight on the sunny terrace enjoying a home made cake with fruit, cream and a coffee. Cakes, cocktails and fine wines available.